How many words can you thing of that are words that show respect and begin on each letter of the word for respect? For instance, R is for responsibility, e is for empathy, s is for showing kindness, p is for please and thank yous. 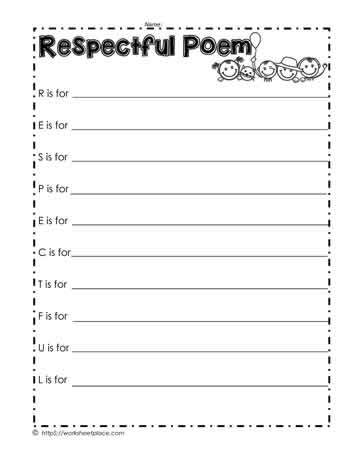 Free teaching ideas, lessons and worksheets for character counts.